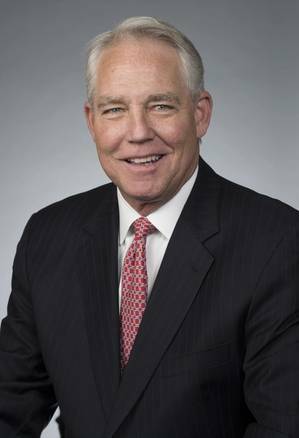 INSIGHTS: John Rynd / President , CEO and Director, Tidewater Inc.
Mr. John Rynd graduated from Texas A&M University with a Bachelor of Arts degree in Economics. He previously served as Chief Executive Officer and President, and as a director of Hercules Offshore from 2008 through 2016. Prior to his time with Hercules, Mr. Rynd spent 11 years with Noble Drilling Services, Inc., where he served in a variety of management roles. Earlier in his career, he served in various roles of increasing levels of responsibility with Chiles Offshore and Rowan Companies. Beyond this, Mr. Rynd served as Chairman of the National Ocean Industries Association (NOIA) from 2014-15 and currently holds an Ex-Officio position on the Executive Committee. He serves on the Board of Directors of Fieldwood Holdings LLC, and was on the Board of Directors of Hornbeck Offshore, Inc. from 2011 to February 2018. Today, he presides over what could soon become the largest operator of OSV vessels on the planet. Tidewater already owns a spot near the top of that pyramid. These are exciting times in the offshore energy support industry. And, while no one knows what will come next, the recovering offshore markets beckon to those who believe it will come back soon. John Rynd is one of them. Listen in this month as he weighs in on this complicated, but important marine sector. It was just about one year ago that Tidewater itself emerged from Chapter 11 Bankruptcy. Shortly thereafter, GulfMark did the same. This month, you announced an agreement to merge with GulfMark. What has changed in one year that allowed you to embark upon this exciting, aggressive path? The path that led us to Chapter 11 was a long one. Choosing this approach ultimately allowed us to structure the business in such a way as to maximize its financial strength, which is, and will be, critical as the offshore supply vessel market begins to stabilize and then continues the slow march toward a new market equilibrium, with vessel demand again balanced with vessel supply. Post-restructuring, the company is essentially in a zero net debt position and quarterly operating results are approaching a cash flow break even. The company also has significant available liquidity and no significant near-term debt maturities, so we should be well-positioned for a still challenging global OSV market. Looking to the future, a more vibrant OSV market will require significant investment to reactivate currently idle equipment. Post-restructuring, the company has the financial resources to make that investment. GulfMark undertook the same set of activities, for many of the same reasons. Each company has been working on ideas and concepts independently throughout the downturn related to enhancing productivity and shore-based scalability. By leveraging the combined talents of both organizations, we are convinced no other OSV company in the world will have higher safety and operating performance or operate as efficiently at those levels. Why should the market trust the prospect of the merger between two stakeholders that only recently themselves emerged from Chapter 11? The combined company will have the largest fleet, broadest operating footprint, and strongest financial profile in the OSV sector. These are all key metrics that we feel position the company for an industry recovery that seems to be getting some traction. The fact that both companies worked through the process of restructuring and emerged with strong balance sheets and low leverage is an underlying enabler for the combination. Tidewater announced your appointment as President and Chief Executive Officer and Director a little more than five months ago. It has since been a busy time at Tidewater, culminating in this month's GulfMark merger announcement. That said; what was the primary reason to pursue this merger? We've been saying for some time that we believe we are well positioned to both lead and benefit from the consolidation of the OSV industry. We are one of only a handful of companies with both the operational and financial profile to provide cost-effective global solutions to our customers through the ups and downs of the oilfield cycle. GulfMark is another such company. One of the key aspects of our strategy since our reorganization last year has been to optimize our fleet to enhance safety, meet the increasingly complex needs of our customers, and of course, be in the best position to capitalize on a market recovery. The combination with GulfMark accelerates our progress towards these goals. The bottom line is that this transaction creates the largest and strongest global OSV company by all key metrics, including fleet size, fleet quality, operating footprint, enterprise and equity value. Tidewater owns and operates one of the largest fleets of Offshore Support Vessels in the industry. Combined with GulfMark, it will be the largest. What will change in terms of your business plan - for both parties - and what will stay the same? The scale of the combined company will allow us to sustain our commitment to maintaining an industry-leading fleet that is best-suited to our customers' offshore exploration, development and production activities, which are increasingly moving into deeper waters and more remote regions of the world. Increased scale also enables us to better anticipate and adapt to changes in the global oil and gas markets. The combined company will be better positioned to achieve and sustain market leadership during both healthy and challenging market conditions, allowing us to operate with an enhanced focus on longer-term trends. What won't change is our commitment to safety, compliance, and providing quality services. We will continue to focus on driving down costs, maintaining our balance sheet strength, and retaining liquidity. This is key; as we are, and will continue to be, prepared to fund the reactivation of vessels from our stacked fleet to respond to customer opportunities. Unique perhaps in the GoM, Tidewater has many assets under both foreign and U.S. flag. That gives you flexibility in where you place your assets, where you compete, etc. But it also involves adhering to Jones Act rules for ownership, control, etc. Does anything major have to occur in this way as you hopefully consummate the merger? Both companies being Jones Act compliant on a stand-alone basis means that the merger to be straight forward in this regard. Jones Act Warrant holders of the combined company will continue to be required to prove their U.S. Citizenship to convert their warrants into Common Stock. What percentage of your combined future fleet will remain as Jones Act qualified? Will you keep that split, increase it or decide to venture out into more international markets? The combined company will have a larger Jones Act fleet, but the percentage of the overall fleet that remains U.S. flagged going forward will ultimately depend on where we see opportunities to put the vessels to their highest and best use. We've mentioned, for example, that Tidewater's broad footprint in areas such as West Africa and the Middle East gives the combined company the option to redeploy certain GulfMark assets into these areas to improve utilization. Looking at current GulfMark and Tidewater areas of operation around the globe, it is clear that the two firms compete in certain markets, but in just as many if not more, they do not. This bodes well for the new firm, does it not? We feel strongly that it does indeed bode well for the combined company. Tidewater has the broadest operating footprint in the OSV sector today, and the combination with GulfMark further strengthens our combined presence in the Americas and the North Sea. This combination of two offshore heavyweights, if consummated, will create a global offshore support vessel leader, positioned to capitalize on significant cost synergies and superior growth opportunities as the OSV sector recovery gains traction. Detail those 'cost synergies,' and more importantly, where they will emanate from. The opportunity to operate a larger fleet with a more efficient cost structure over a broader operating footprint is a major benefit of the proposed combination. Both companies have been working on specific synergies related to this combination since the merger discussions began earlier this year. We highlighted during the merger announcement that we are very confident in achieving $30 million in cost synergies. Much of this is related to the rationalization of shore base support and corporate overhead. Our teams are working on a detailed integration roadmap now, so we are prepared to put these plans into motion as efficiently as possible following the completion of the merger. Talk about your combined fleet. You'll start out with 275 vessels. How many are actually service today, and many are idle? Benchmark the fleet against the competition. Taking into account statistics reported for both companies as of June 30, there are 173 vessels currently active, and 98 stacked. The average age of the combined company's currently active pro forma fleet will be one of the youngest at about 9 years. Taking into account stacked vessels, some of which won't return to service as we continue the process of rationalization, the overall pro forma fleet average age is approximately 10 years. The US Energy Information Administration recently predicted that Brent crude oil spot prices will average $73/bbl in the second half of 2018 and will average $69/bbl in 2019. Is that enough to sustain an offshore recovery of any magnitude? In our view, which is consistent with that of our customers, commodity prices have been above the level required to support investment offshore for some time. Coupled with the work the offshore service sector has done to reduce costs and improve efficiency, the environment would appear to be good for increased investment offshore. It is really not a question as to whether an offshore recovery will take place, but when. Dissimilar operating cultures can often be the biggest obstacle to any successful merger. Both firms are Gulf Coast-based. That's a good starting point. How would you assess the similarities between GulfMark and Tidewater in this way? The two companies do indeed have a lot in common. Not only are we both Gulf Coast-based, but we also have substantial expertise operating internationally, with corporate and local management experienced with the complexities of dealing with varied laws and regulations, as well as customer requirements. Maintaining this talent and expertise will be important, as well as ensuring that we leverage the best processes and systems from each company to realize as much value from the combination as possible. The call for more consolidation of the OSV industry has been heard for some time. Your proposed transaction carries this trend to reality. How much more consolidation is likely in the sector and if more is to occur, would the new Tidewater consider other similar opportunities? More consolidation is needed in the OSV sector, but our view is that it's likely to be limited in the near term due to the significant leverage among the majority of vessel owners. We have been fairly vocal about our intent to pursue M&A for much of the past year, and that any transaction had to 1) come with assets that would be accretive to the quality of our existing fleet, 2) not significantly re-lever our balance sheet and 3) preserve our currently strong liquidity position. The combination with GulfMark checks all of these boxes. The transaction with GulfMark has been structured specifically to ensure that the combined company would be positioned for organic growth opportunities (through funding reactivations of currently idle equipment) and additional M&A. Until more companies work through the process of restructuring their debt the opportunities for additional acquisitions is fairly limited, but we will continue "aggressive window shopping." Some analysts have said that even when the price of crude oil rebounds a more positive level - something it seems to be headed for at moment - that there is so much tonnage laid up in the U.S. GoM that it might take as long as 24 months to bring it all out. That might keep rates depressed for a longer stretch. What are your thoughts on that scenario? It certainly would seem to be a likely scenario. We feel that the ability for currently-stacked vessels to return to work will depend quite a bit on the timing and level of demand improvement, however. As demand increases, rates will also need to reach a point where they make sense for owners to invest in reactivating vessels. It's not an insignificant sum of money to reactivate a vessel - particularly if it has been stacked for several years - and with many owners being highly leveraged and with little cash, there will be pressure on customers, at least in some cases, to fund reactivations with lump sum mobilization payments. With this being said, we've already seen reactivations in the North Sea with an improvement in activity before rate increases. In our view this has been a primary factor in keeping rates lower than they would otherwise be with the improvement in seasonal demand. Another area of concern for industry is the number of newbuilds in the pipeline that might impact the market when they are delivered. For example, the containership market is certainly struggling in this way. How many OSV's are on order, how many of those would be for the combined company, and what does this mean for the sector itself? The latest estimates indicate that about 215 OSVs remain in the pipeline for delivery over the next year or two. As a percentage of the overall fleet, and with the rate of attrition increasing (and hopefully accelerating), the net impact of these new deliveries with respect to the overall global OSV sector isn't expected to be significant. However, many of these vessels are under construction in Chinese shipyards, and these have tended to be delivered into the South East Asian market. As the most over-supplied and highly fragmented region, adding vessels to that particular market doesn't help the situation. We recently took delivery of our newbuild deepwater PSV, the U.S. flagged Youngs Tide. This vessel was the last new construction commitment for Tidewater. Similarly, another school of thought says that while there are a great many OSV's and similar type service vessels in layup, a good number of those are too old to economically bring out into service again. Would you agree and if so, what percentage of that layup fleet will likely never see service again? Our view, which is in line with several respected analysts that we follow, is that currently stacked tonnage that is 15 years or older is simply uneconomic to reactivate. Based on estimates available from the few data sources that cover these statistics in detail, there are currently about 1,000 vessels older than 15 years in the global OSV fleet. This equates to about 30% of the fleet. Over and above these vessels, there are likely a subset of the remaining fleet of a more recent vintage that have simply been stacked too long with little to no maintenance that will require too large of an investment to compete effectively in the markets in which they're located. The combined company, in theory, will be better positioned to build upon GulfMark's strong track record in the recovering North Sea region. How so and why there in particular? GulfMark is considered one of the premier OSV owners and operators in the North Sea region, with a strong track record of quality services and Tier 1 vessels. Bringing the GulfMark and Troms Offshore teams and vessels together strengthens both the size and quality of the combined fleet in the market. The transaction is not predicated upon a North Sea led OSV recovery, but clearly the combined company will be a primary beneficiary if that is how things play out over the coming quarters. Where will you see the biggest challenge in market penetration and/or recovering day rates? I mentioned during our recent earnings call that we are experiencing rate pressure in the Middle East as a result of tonnage relocating into the market from Asia. With activity already high in the region, we don't anticipate a material improvement in the rates for some time. Mexico is another area where we are seeing rates adjust downward with the increase in available supply. From a market penetration standpoint, Brazil is likely going to remain one of the markets with the highest barriers to entry. With an improvement in activity and demand over the next few years, the first equipment that is likely to win work will be locally-built and flagged tonnage. Owners with equipment complying with these requirements will be the earlier beneficiaries of an improvement in that market, followed by owners of foreign-flagged vessels as supply tightens over time. You talked about the new Tidewater's 'big lens' into the world markets. What does that lens tell you, why, and what could it mean for the sector as a whole? We are seeing a few markets with relatively stable high utilization - such as the Middle East - as well as utilization improving in several markets with seasonally higher activity levels. With this being the case, rates have the potential to move higher, particularly given the limited number of currently inactive vessels that are still current with relevant class certifications and that are otherwise available to work on a prompt basis. With Tidewater's exposure to essentially all major offshore markets globally, we are not relying on one or two markets improving to make us successful.